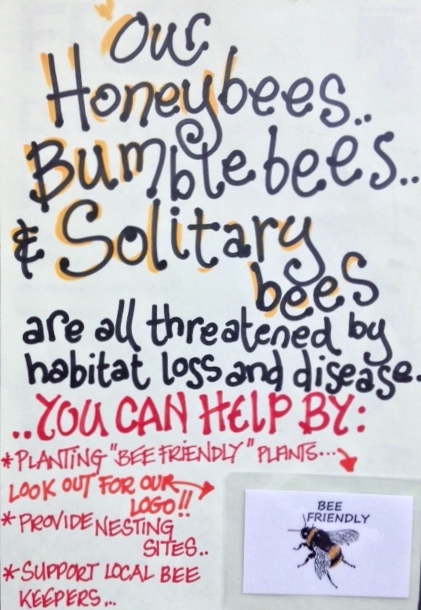 Our Honey Bees, Bumble Bees and Solitary Bees are all threatened by habit loss and disease. 15 million acres of flower rich meadow has been lost since the 1940's. Gardens are increasingly important to bees of all kinds. 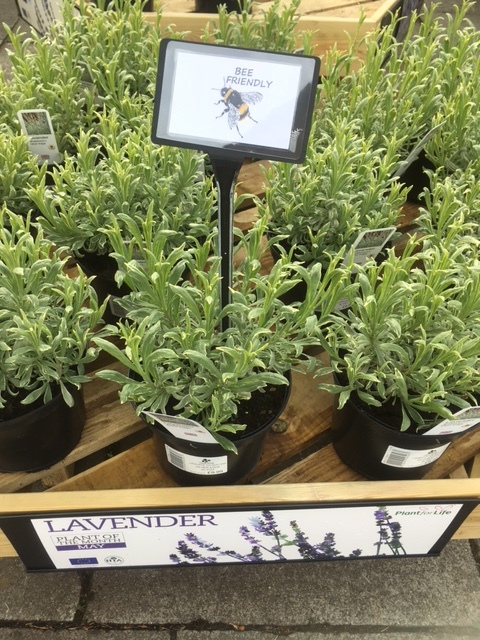 Here at Calver Garden Centre we're making it easier for gardeners to choose Bee Friendly plants. 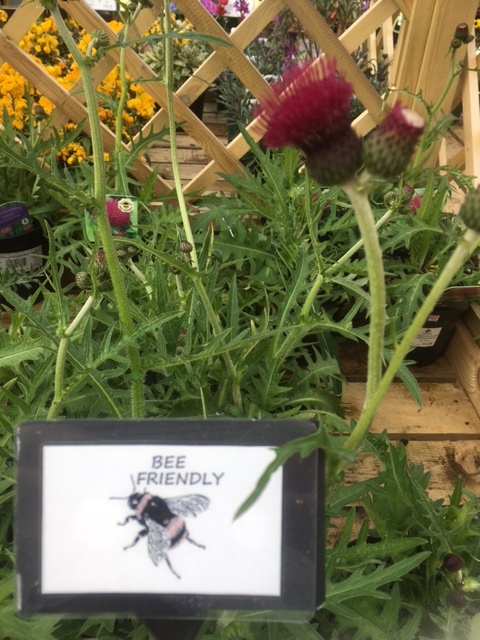 Just look out for our 'Bee Friendly' logo on bed cards, labels and stickers. Some Bees like shallow flower like Arabis , others like deep flowers like Foxglove. Plant in groups, all Bees like to feed on one kind of flower at a time. 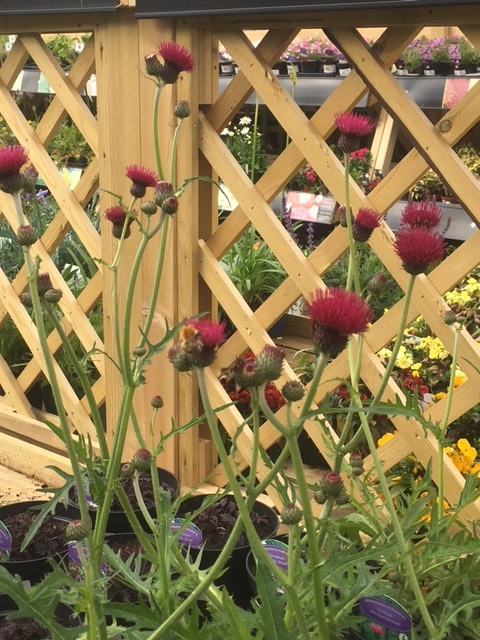 You can support the Bumblebee Conservation Trust by buying a Bee Badge in the Garden Centre shop.